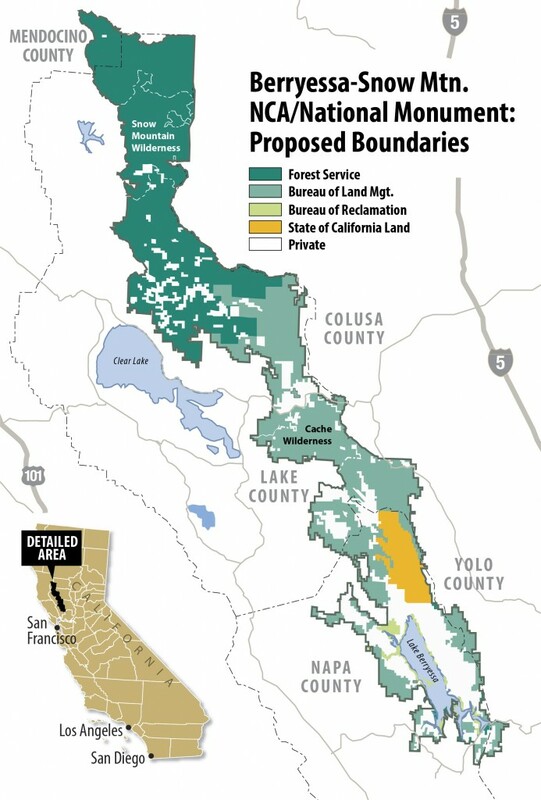 A 360,000-acre patchwork of federal lands north of the Bay Area may yet become California's next national monument, but it will happen without a major component -- or so it seems. 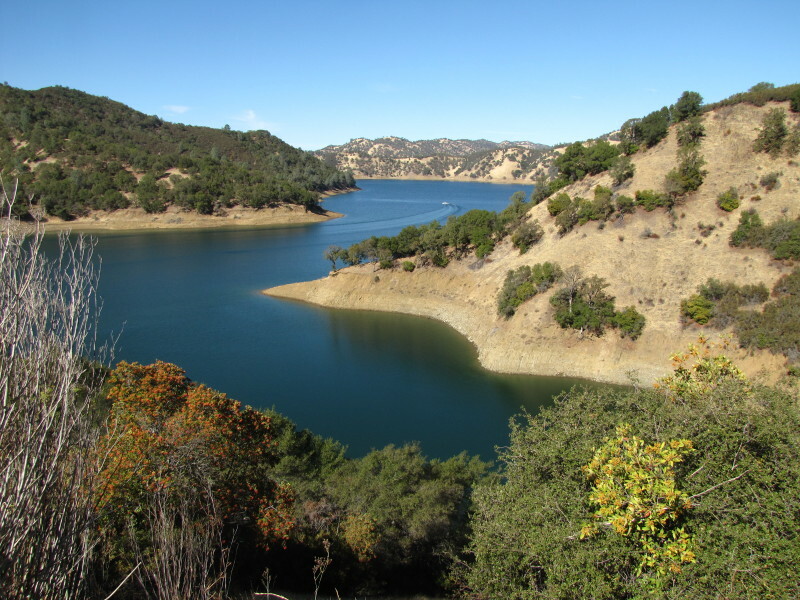 How Lake Berryessa came to be removed from the proposed Berryessa-Snow Mountain National Monument remains a mystery even to the most keen observers. "We can't know for sure," says Bob Schneider, senior policy director at Tuleyome, a Woodland-based conservation group that's been pushing for the monument for at least seven years. A spokesman for Representative Mike Thompson (D-St. Helena) has said only that Thompson made the call himself before reintroducing his bid to create the monument in January. Supporters have been pursuing a "dual track" to monument status, seeking both a presidential designation and congressional action. But Thompson's latest version of the bill, which remains stalled in committee, is murky on the status of the the 20,000-acre lake, currently managed by the federal Bureau of Reclamation. The only clue is a revised map of the proposed monument, that excludes Berryessa. 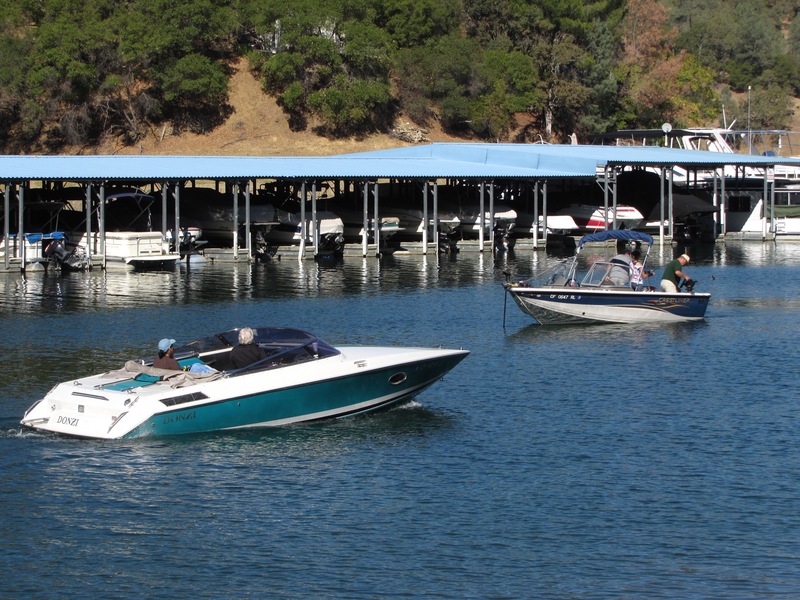 Concerned about potential new restrictions on recreational use of the lake, opponents of the monument designation have long argued that Lake Berryessa lacks the national significance required for inclusion under the Antiquities Act, as it was created by damming Putah Creek in the 1950s. In an interview with KQED, Interior Secretary Sally Jewell cited the "man-made lake" as a possible issue after she toured the area in December. Jewell has not made public what recommendations she may have made to President Obama regarding the lands. But just as the lake has vanished from the proposed monument, other lands not in the previous proposal have been added. "The lake is out," says Schneider, "but all of Snow Mountain Wilderness is in now, including the areas in Glenn and Colusa Counties." Schneider says Berryessa Peak is still included, so the name of the proposed monument still makes sense. All of the changes taken together increase slightly the total acreage of the tract and would still make it California's largest national monument, edging out the recently created San Gabriel Mountains National Monument. Supporters say the would-be monument's north-south orientation and rising elevation makes it an ideal migration corridor for plants and animals forced to move by the warming climate. On a recent stroll down the main street of Winters, the closest town of any size to the south end of Lake Berryessa, it was a challenge to find anyone who was familiar with the monument proposal, let alone those with strong opinions about what lands should be included. One local resident deferred to her elementary school-age daughter, whose class had written letters of support to President Obama. Meanwhile official support continues to build. The California legislature added its collective voice to the chorus in April, passing a resolution authored by Napa Democrat Bill Dodd calling on the president to designate Berryessa-Snow Mountain as a national monument using his executive authority. The Brown administration was already on record approving. Various local governments have passed similar resolutions. Even Eldridge Moores, a UC Davis geologist and one of the deans of plate tectonics science, appeared at a Sacramento hearing to extoll the area's unique attributes. Moores says the region amounts to a real-world museum exhibit, detailing the slow-motion tectonic collision that created the coast ranges, and for that matter, California. "Only a few places on the planet illustrate the scientific process as clearly as does the Berryessa region," Moores told lawmakers. Since the San Gabriels designation last year, Obama has created three more national monuments, in Illinois, Colorado and Hawaii. Berryessa remains in limbo.